Is your bike Surly enough? Are YOU Surly enough? If your cruiser needs style, or if you are tired of traditional riser bar on your commuter, the Surly open bar is a perfect fit! The Open bar is an upright bar but not an uptight bar. Its equally suited to cruising, commuting, and even some singletrack, though it should be noted that this is not by any means a DH bar. We left it a bit flexy to take some of the harsh out of your ride. The angle makes it comfy for your wrists. The width enables loads of control. Its got plenty of room for grips, shifters and brake levers. Knurled clamp area. 4130 CroMoly steel. Available in low rise (40mm) and no rise versions. Stuff eventually breaks or wears out if you use it enough. Thats beyond our control. We guarantee this product to be free from defects in manufacturing and design for one year from date of purchase. Its guaranteed not to fail under normal riding conditions. 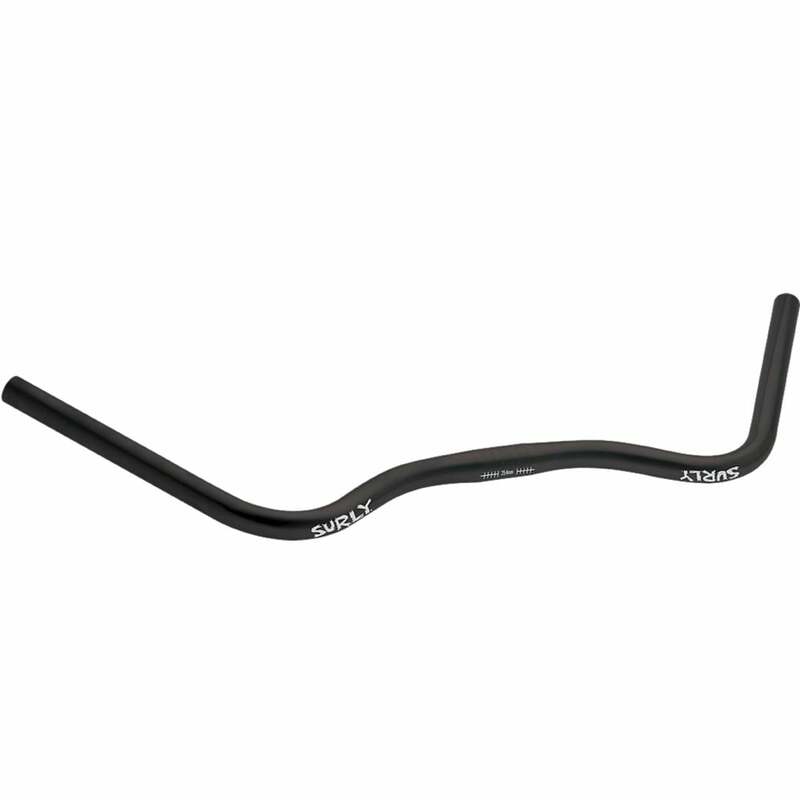 Surly is not responsible for the actions you take on your bicycle, however, and cannot be responsible for products that break when not installed correctly or used inconsistently with the products design. If youre not sure if something will work the way you want, contact us. If you do destroy your Surly product, fess up and maybe we can get you some replacement parts to keep you riding. Sorry, the finish isnt covered, nor is any damage that happens to you or your other components as a result of any failure of one of our products. Lastly, if you modify or neglect our products, we cant be responsible for them or what might happen to you while youre using them. All potential warranty items should be returned to the original place of purchase, accompanied by a sales receipt. In the unlikely event that this is not possible, call or email us, and well do our best to get you riding again.